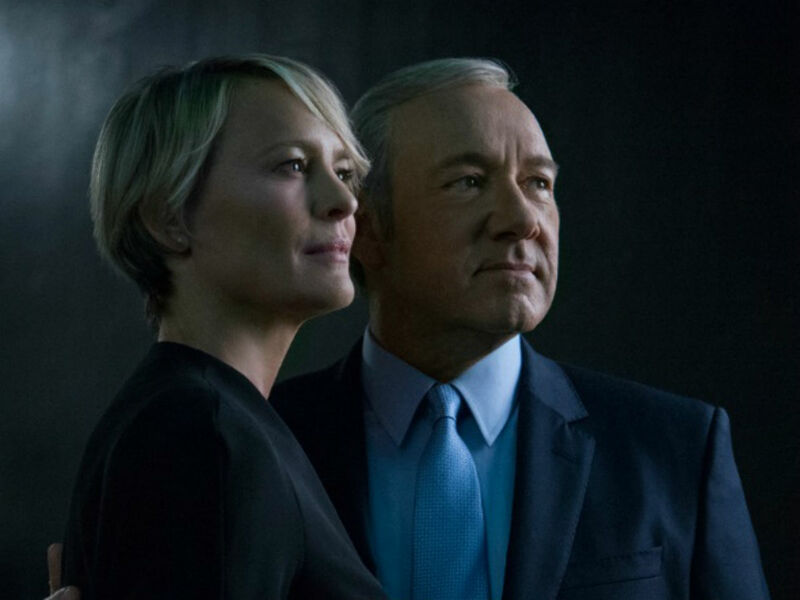 The release date for ‘House of Cards’ Season 6 is yet to be announced by Netflix but the avid viewers should prepare themselves for explosive episodes as Francis J Underwood aka Frank (Kevin Spacey) is all set to go head to head to his spouse Claire Underwood (Robin Wright). The spoilers for ‘House of Cards’ Season 6 suggest that LeAnn Harvey (Neve Campbell) is alive as she has survived a dangerous car crash. She was last observed driving from Washington but unfortunately, she confronted a severe car wreckage. Fans of this political thriller web television never believed that she died in the crash because her body was never recovered or seen in the previous season. It is said that she is presently doing well. While she was on Frank’s team, she was brutally terminated. She has geared up to join hand with Douglas Stamper aka Doug (Michael Kelly) for the purpose of bringing Frank back to power. 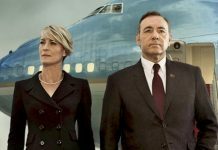 Their attempt is to demolish Claire Underwood who is presently the President. 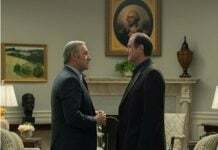 “We both believe Frank Underwood is the perfect person to lead the country,” ‘Person of Interest’ actor Michael Kelly said, as reported by Express. 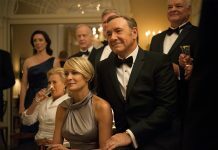 The upcoming episodes of ‘House of Cards’ Season 6 will show Kelly’s character Doug giving all his endeavors to ensure that their man gets back to his seat. Even (as expressed by Kelly) he in association with LeAnn Harvey will do more bad things along the way to make him back to his previous seat and it is claimed that this will be done for the betterment of the American people. However, majority of the people believe that Claire’s style of leadership is quite different from Frank’s and she is a fascinating woman leader of the country. Stay connected with us to get the latest updates and premiere date for ‘House of Cards’ Season 6.